The service was excellent with friendly staff. 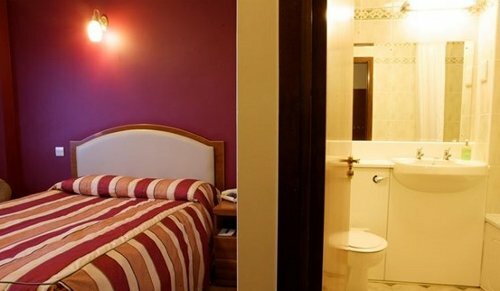 Excellent value for money; very good facilities and room was more than adequate. I have already emailed Warwick Conferences to say how impressed I was with the accommodation. Lovely en-suite room in a very peaceful corner of the campus, great breakfast, free internet (via cable), free use of the swimming pool. 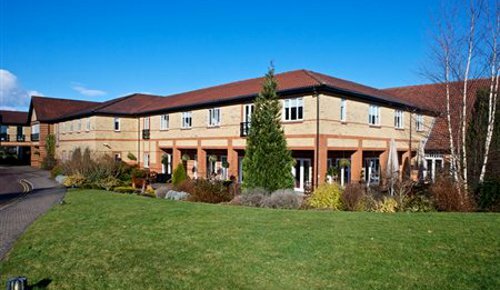 It's a lovely location which I know quite well as I previously lived in Warwick - I would have no hesitation staying again or recommending to other people. 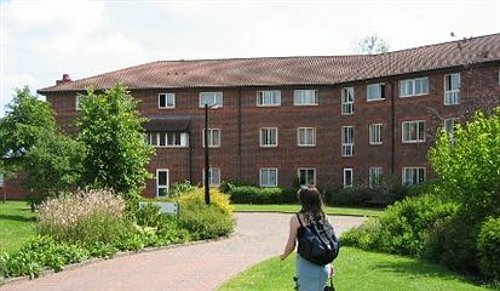 The Warwick campus is built on 700 acres of parkland half an hour’s walk from Coventry city centre, with excellent road and motorway access. Residential, teaching and administrative buildings are surrounded by green open spaces, fields and woods. It should be understood that the university halls are designed primarily for students: not for children or adults expecting a high level of luxury. However, with this in mind, they do meet a level of comfort that we expect most visitors to be happy with. We will welcome any feedback where this is not the case. Rooms are available during the academic vacations. Coventry is a city in the Heart of England, rich in culture and heritage and surrounded by breathtaking Warwickshire countryside. It offers a wealth of museums and galleries as well as a world famous cathedral, one of England's finest medieval guildhalls and a museum holding the world's largest display of British road transport. 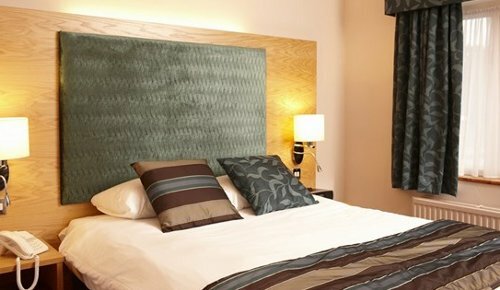 Coventry is also a place where visitors can relax and enjoy excellent shopping facilities, a bustling bar and restaurant scene and a variety of entertainment venues. 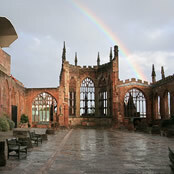 Coventry Cathedral, one of the newer cathedrals in the world, was built following the World War II bombing of the ancient cathedral. Coventry Transport Museum is also a noteworthy attraction, housing the largest collection of British-made road vehicles in the world. Coventry Toy Museum is housed in Whitefriars Gate which was built in 1352. It contains a wonderful collection of toys dating from 1740 to 1952. By road: Coventry & Warwickshire is easily accessible from the National Motorway Network that bisects the region - M6, M40, M42, M5, M69; with the A45 and the A46 being the main arterial roads into the city and its region. By Air: Coventry Airport is approximately 5 miles from central Coventry; Birmingham International Airport is approximately 10 miles away from central Coventry. Coventry is an ancient city. 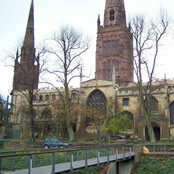 It is likely that Coventry grew from a settlement of the Bronze Age near the town centre where Coventry's bowl shape and, at that time large flowing river and lakes, created the ideal settlement area, with mild weather and thick woods: food, water and shelter would have be easily provided. The first chronicled event in the history of Coventry took place in 1016 when King Canute and his army of Danes were laying waste to many towns and villages in Warwickshire in a bid to take control of England, and on reaching the settlement of Coventry, destroyed the Saxon nunnery. Leofric, Earl of Mercia and his wife Lady Godiva (a corruption of her given name, "Godgifu") rebuilt on the remains of the nunnery to found a Benedictine monastery in 1043 dedicated to St. Mary for an abbot and 24 monks. In 1635, when the English Civil War broke out between King Charles I and Parliament, Coventry became a stronghold of the Parliamentarian forces. On several occasions Coventry was attacked by Royalists, but each time they were unable to breach the city walls. The Church of St John the Baptist was used to confine Royalist prisoners. Hostile attitudes of the city folk towards Royalist prisoners held in Coventry during the English Civil War are believed to have been the origin of the phrase "sent to Coventry", which in Britain means "to be ostracised". Although their physical needs were catered for, the Royalist prisoners were literally never spoken to by anybody. Coventry castle was built in the 11th century by the Earl of Chester. It is only relatively recently that the existence of a castle has been discovered or at least recognised. It was razed to the ground in the 12th Century and then rebuilt again. After a lot of warring and fighting in the mid 12th Century the castle fell into disrepair. It has even been suggested that the crumbling hulk of the castle was used as a quarry for stone to build other town structures and the city wall. There is a part of the old castle that still exists. This is the part of St Mary's Guildhall called Caesars Tower. It is still viewable today. There is reference to the decaying state of the castle in the time of Queen Elizabeth I. When Mary Queen of Scots was to be imprisoned there it was thought to be unfit and so she was housed in Caesar's tower, part of St Mary's Guildhall. The University of Warwick is located on the outskirts of Coventry and is regarded as one of the country's leading universities. It was established in 1965 as part of a government initiative to expand access to higher education, and in 2000 Warwick Medical School was opened as part of an initiative to train more doctors in Britain. •Ruth Jones - actress best known for her role as Myfanwy in Little Britain and Nessa in Gavin and Stacey.